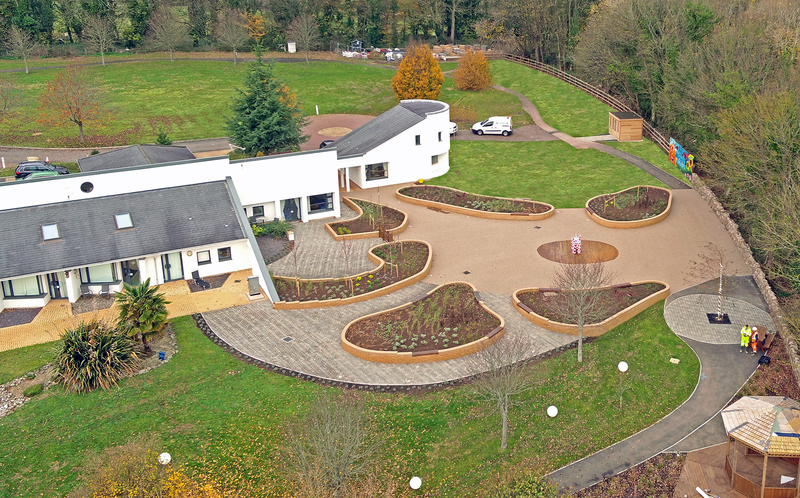 Neal Soil Suppliers worked closely with Costain to refurbish the memorial garden at Ty Hafan children’s hospice in South Wales, which was completed late 2018. Neal Soil Suppliers supplied their expertise by removing and managing waste materials, which played a key role in completing the garden. 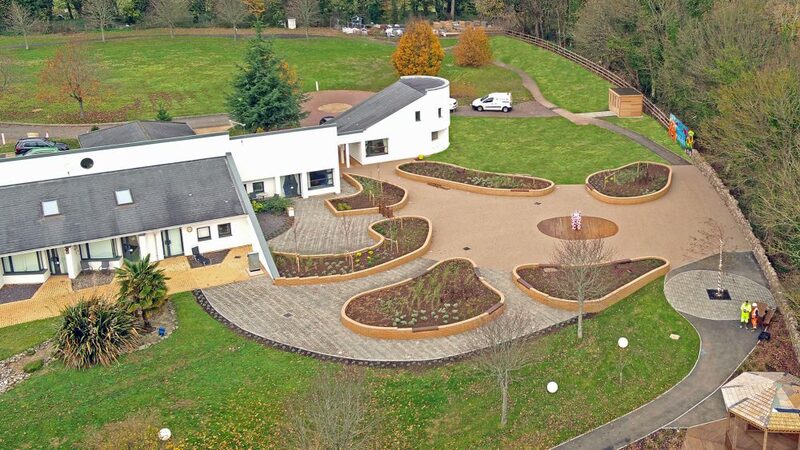 In 2015, Costain were approached by Ty Hafan about supporting a major project at the hospice involving the re-design and refurbishment of an established memorial garden. In order for this project to be successful, Costain required a number of partners, one being Neal Soil Suppliers. As Costain came close to completing the memorial garden, the volume of inert waste soils, wood and other materials had increased a larger than expected volume. Costain approached Neal Soils to explain the charitable work we had undertaken to date at Ty Hafan and if they would be interested in providing a price for the removal and management of the waste materials. When Neal Soils understood the history of the project and what Costain had been working towards, they were happy to join the team and offered to collect, haul and manage the waste materials free of charge. Ty Hafan opened in 1999 and is the leading children’s hospice in Wales, helping life-limited children enjoy the best quality of life possible and their families make the most of the time they have left with their child. The services of Ty Hafan, both at the hospice and in the community, are completely free of charge for families in Wales. The hospice is situated in Sully, overlooking the sea in the Vale of Glamorgan, but support is offered wherever and whenever it is needed – at the hospice, in the family home, at school and in hospital. The garden is an important space that provides a place for mums and dads, brothers and sisters and other family and friends, to remember and reflect the positive memories created during the life of the child who had died. The previous memorial garden was completed in 2001 and was looking tired and overgrown and no longer fit for purpose. Since Ty Hafan opened in 1999 sadly over 250 children have passed away in care and death is sensitively remembered with a personally engraved pebble which is placed in a pond in the centre of the garden. The pond and the garden became too small to provide a prominence of position to mark each child’s death and to collectively celebrate their lives at two annual events at the hospice. Alongside the memorial garden the hospice will be a new sensory garden that can be enjoyed by the children currently in care. The garden will include plants, hard landscaping and other garden materials and features selected for their appeal to all five human senses with the aim of offering a richer and more therapeutic experience. The project will include the total refurbishment of the memorial garden with a viewing platform overlooking the Bristol channel, a water feature, a wheelchair racetrack, sensory lighting and canopies. “It was an honour for Neal Soil Suppliers to be involved and hope that the garden will be enjoyed by both the children and their families in the future”.